Imaan Announces 2013 Retreat – ‘Benaa Majtamaa – Building a Community’. 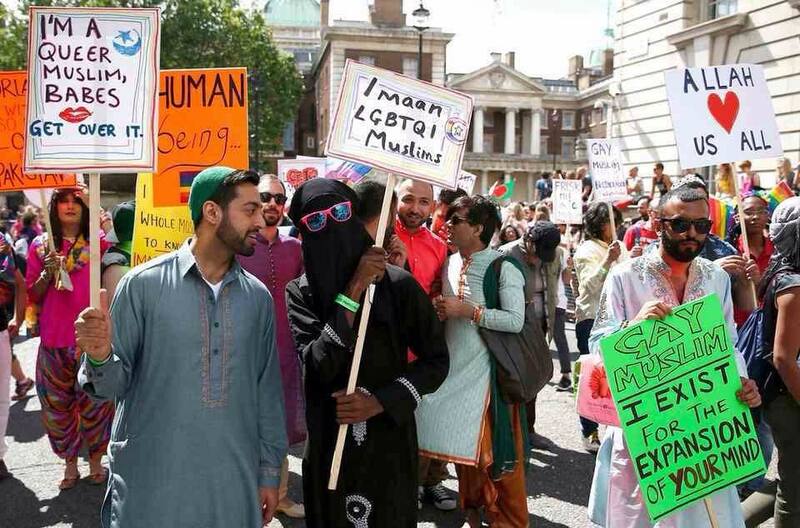 In 2012, Imaan took a vital and ultimately, highly successful step in building an LGBTQI Muslim community in the UK. Our 5th International Conference was attended by over 70 people and through a number of historical milestones over the course of this wonderful four-day weekend, we began to tentatively formulate a community, mujtamaa, an Ummah of our own. As a result, in 2013, we wish to provide an opportunity to strengthen this ummah, build upon the success of the previous year and collectively increase our love, spirit and imaan (faith). Consequently, we are holding a retreat-weekend, entitled ‘Benaa Majtamaa’, ‘Building a Community’. Held between Friday 30th August to Sunday 1st September at a centre in the Peak District, we hope that our retreat will be invigorating and energising, allowing existing friends to re-connect and for new friends to become a part of our collective and to understand why the Imaan family is such a special entity. The retreat centre is a safe and inviting space located in the heart of the Peak District, in Northern England, a 2 hour train journey from London and 1 hour journey from Manchester. With less focus on sharing knowledge through lectures and workshops, the retreat is for the soul. The retreat also exists as an opportunity to withdraw from the strain of every day demands and routine. Instead, we have a program of outdoor, art, craft and group-based activities, all designed to raise our imaan and consciousness of our identity as LGBTQI Muslims. Five full scholarships and five part-scholarships will be available for those needing financial assistance with the cost of the retreat, but proof will be required of neediness and will be granted on this basis. With regards to cost, the retreat is priced at £150.00 for two nights accommodation at the retreat centre, with all meals from Friday dinner until Sunday lunch being included, alongside unlimited tea and coffee. Rooms are spacious and comfortable, sleeping either three or four attendees. Single gendered rooms are available.